Evaritos Mexican Kitchen & Bar held its formal opening on Thursday, July 26, at 14-16 N. Main St. in South Norwalk, Conn. at the junction of Washington Street. 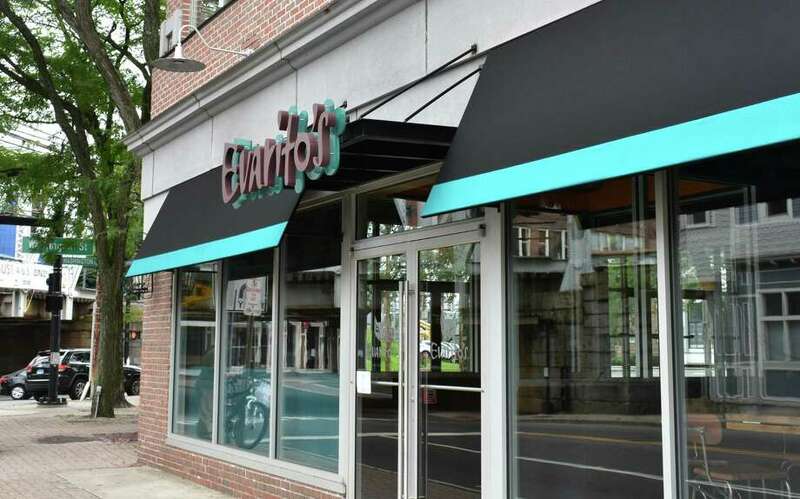 Evarito’s Mexican Kitchen & Bar announced its formal opening on Thursday, July 26, at 14-16 N. Main St. at the junction of Washington Street. The new venue was created by Skal Restaurant Group which runs Cask Republic in South Norwalk, Stamford and New Haven; as well as The Ginger Man on Greenwich Avenue in Greenwich. Evarito’s is open Tuesday through Saturday starting at 5 p.m., and 4 p.m. on Sunday, with lunch hours to follow and Skal planning a rooftop bar at last report. For information, visit www.evaritos.com or call 203-939-1620. Due to a reporting error, earlier versions misstated the address of Evarito’s, which is located at 14-16 N. Main St. in South Norwalk.